Whether you are a skilled designer or just starting out, Adobe InDesign templates are a great resource to have in your toolbox. 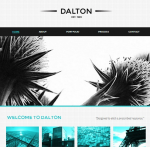 Design templates have to be properly set up to let you or your clients update them easily. To help you get inspired, we’ve gathered a collection of 42 InDesign template tutorials, ranging from brochure templates to something with more pages like InDesign book templates. These Adobe InDesign template tutorials are great for any experience level, so you can also create awesome flyers, brochures, newsletters, magazines, and much more! Let’s dive in! In a hurry? We’ve got over 2,000 high-quality Adobe InDesign templates over at Envato Elements and GraphicRiver. Go check them out! Looking for some freebies? Check out the Envato Elements Freebies section for free monthly assets. You might score some free InDesign resume templates, newsletter templates, or other items that might help your projects. Learn how to create an InDesign flyer template for a night club or party. 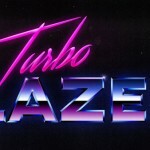 This tutorial also includes directions on how to create neon signs that will make your flyer look glamorous and atmospheric. Create an informational InDesign flyer template that’s easy to adapt to your own brand guidelines. This professional-looking InDesign template has all the basic elements you or your client might need to get a new business flyer started and distribute it by mail in your next marketing campaign. Adaptable for any event, this versatile InDesign flyer template will attract crowds. In this tutorial, you’ll learn some important basic techniques when creating an InDesign template like setting up typography and working with gradient swatches and layers. Customise it with your own colors and content, and you are ready to get the party started! Give back to the community with this fundraiser Adobe InDesign template tutorial. It’s easy to follow and full of basic techniques that you need to learn if you are starting out in design. This tutorial shows you how to make a ready-to-print InDesign flyer template. 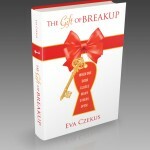 If you’re looking to get into publishing, this tutorial is perfect for you! 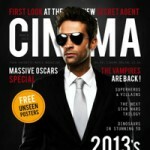 This InDesign magazine template tutorial shows you how to make your own creative magazine design. Whether you are a beginner or intermediate designer, this tutorial will leave you with an InDesign template that you can come back to again and again. Learn how to make a brochure cover template that’s eye-catching and attractive. The cover of a brochure needs to be appealing for customers to grab it. In this tutorial, you’ll learn essential tools to create a vector-based cover. This cover brochure template is perfect for your next promotional InDesign catalog template. In this tutorial, learn the process of how to make a magazine from an existing Adobe InDesign template and create something that fits your own theme and style. This is handy if you are using one of our Envato Elements InDesign magazine templates and want to learn how to edit it! Set up an InDesign book template to save some time in your next project. Learn how to make a book layout template in InDesign, including the cover, spine, and inside pages. Easy to follow, this tutorial is useful for any of your future projects (and yes, any book size too!). Psst! Use this as your own InDesign portfolio template and show your masterpieces! Start the year by applying for that dream job you’ve been wanting. In this tutorial, you’ll learn how to create an awesome InDesign template. Learn about some basic typography elements and give your resume a refresh. You can easily use this project as an InDesign resume template by changing the image and updating the copy. In this quick tip tutorial, learn how to edit an InDesign business card template from GraphicRiver and add your own spin to it. This tutorial is easy to follow if you are a beginner and want to spruce up an InDesign template design. With the latest Adobe CC update, you have access to many ready-made InDesign templates that you can customise. In this tutorial, you’ll learn how to edit an InDesign brochure template. Place some images, add copy, and your file is ready for printing. If you are in any creative field, having a portfolio design template ready to go is a must. You need to present your work beautifully and in a way that it will stand out from the crowd. In this tutorial, you’ll learn the basics of creating a stylish InDesign portfolio template so you can add your content and voilà! Whether you are in the design field or not, having a presentable resume is necessary to make a great impression. In this tutorial, you will learn how to make a creative InDesign resume template. This one is full of tips and tricks, so you will be able to create your own unique template. Is millennial pink your thing? If it is, we are embracing it! If it’s not for you (psst! here’s the new Pantone color of the year 2019), you can turn this into a template that’s easily customisable. 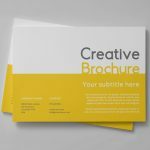 Learn to put together an awesome stationery set consisting of letterhead, business card, and envelope. This is great if you want to get into branding and need a template in your back pocket. Let’s say you’ve just finished a branding project and you want to show your client and the rest of their company the correct way to apply the brand on everything from small-scale elements like stationery to brochures and advertising. In this tutorial, you will learn how to develop and create a brand guidelines document that will also serve as an InDesign report or presentation template. Say ‘yay’ for multi-purpose templates! Learn how to create an InDesign menu template that will take your customers experience to another level. This tutorial is completely based on strong typographical elements and a summer-friendly color palette. Save this as a template that you will go back to over and over again. If you want to get started creating your own InDesign magazine templates for kids, this tutorial will take you through the steps of developing your own publication style. Learn to set up master pages and create striking InDesign page layouts that are aimed at kids. You will pick up some tips and tricks on how to format typographical elements that are kid-friendly. Suitable for beginners, this tutorial is a great way to enter the world of design. Create an InDesign flyer from scratch and learn how to make it print-ready. Versatile and minimal, this flyer tutorial will teach you some key techniques and skills to set up an Adobe InDesign template. If you are a beginner and have yet to try your hand at two software packages for a single project, then this is the tutorial for you. Create an Illustrator and InDesign packaging template for a rectangular box. This is a great starter tutorial if you are looking to get into packaging design and want key tips. Take advantage of this tutorial and save it as an InDesign template for future projects. We are living in a digital era, but business cards will always be in. In this tutorial, you will start out by creating an InDesign business card template and learn about the golden rules to create a high-impact self-promotional tool. Learn about the essentials when creating striking business cards by creating not one, not two, but three examples from a single InDesign template. The wedding invitation business is one of the most fun to get into—you can create loads of creative content. In this tutorial, create a Rococo-style wedding invite that can also be used as an InDesign wedding invite template. Learn how to format typography and choose if you’d like to add metallic foil to create a luxurious design. You will also learn how to set up your file for foil stamping—bonus! If you are looking a quick and simple fall-themed InDesign wedding invite template, this is a perfect all-around tutorial to get you started. Print design can be confusing, so this is a great introduction to prepare a file for metallic foiling. Looking for a more rustic wedding invite? This InDesign template tutorial is easy to follow and covers the basic elements you need to set up a template. Whether you are designing this for someone else or for yourself, this template is a perfect fit for a winter wedding. Get those sales going with this sweet marketing promotion. This winter InDesign flyer template style is collage-inspired and uses a hand-drawn font. Learn how to set up a flyer, create a snowy scene, and export your design for printing, all in just one program. This is a great intro tutorial if you are looking to get into the InDesign template business. Create a timeless InDesign resume template that’s easy to adapt to any job application you might have. This tutorial is strong in typography and InDesign page layout. By the end of it, you will be mastering both and creating your own InDesign templates! Polish your print design skills with this quirky letterpress-inspired card. You can adapt this technique to any message on any greeting card (more InDesign templates! )—it will be super easy! You will also learn how to format typography to a high standard and how to prepare your artwork for professional printing. If you are looking for a specific style of InDesign flyer template, this is perfect for you. The nineties are making a comeback in fashion and design, so this flyer is great for advertising night clubs and music events. If you dabble in InDesign and Photoshop, this tutorial will help you advance in your skills by mixing both programs. Vintage has been ‘in’ for a while, and there are no signs of it leaving. In this tutorial, you can learn how to add a contemporary feel to your vintage-inspired InDesign page layout. 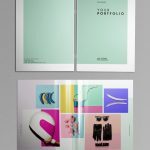 You’ll design a few spreads for a fashion magazine while getting introduced to essential print design techniques. Keep this layout as an InDesign magazine layout template for future use! Learn how to create a neon effect in this poster tutorial that can double as an InDesign poster template. This is a great beginner tutorial that will teach you the essentials of InDesign and how to create an awesome looking effect. Adjust your design by adding your own copy and switching up the colors! If you are looking for a specific style of poster, this punk-inspired poster will rock your socks off! If you dabble in Adobe Photoshop and InDesign, creating this InDesign poster will be a breeze. Make it a unique InDesign template by adding your own spin to it! Learn how to create a die-line cut on an invitation with this invite inspired by Alice in Wonderland. This essential trick will help you develop your own invitation in any shape you’d like. In this tutorial, you will also learn how to prepare your file for printing and create cool shapes. Apply this trick in your future InDesign templates to add something special to them. This summer-style pastel poster just makes you want to eat ice cream all day, every day! This super simple tutorial will walk you through some new techniques for creating print layouts in InDesign and any vector-based software of your choice. Once you’ve learned all the tips and tricks, you can go on to design your own poster and create your own InDesign template to reuse all summer long! Learn how to create an eye-catching poster in this InDesign tutorial. While it’s not exactly an Adobe InDesign template tutorial, you will learn about the basics of designing a poster. Use the techniques you learn in this tutorial to create your own InDesign poster template for a music gig, event or night club. If you are a brand designer, having InDesign stationery templates on hand is key. In this tropical and botanical-inspired tutorial, learn how to lay out a business card and letterhead, all ready for printing. Turn this project into an InDesign template by changing up the images and your own copy, easy peasy! Creating a brochure in InDesign shouldn’t be a difficult task. If you want to spice up your marketing pieces, learn how to make a brochure in InDesign. In this tutorial, you will learn the basics of how to set up an InDesign brochure template. 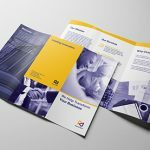 A trifold brochure can be tricky to figure out, so we created an InDesign template tutorial that’s easy to follow and understand. Give it a try! If you are starting out and looking at self-publishing, either in print or as an InDesign eBook template, this tutorial is great for beginners. 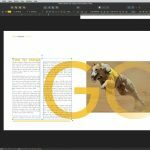 Learn how to create a variety of InDesign page layouts and fundamental tools that will serve you well in the future. You can keep these InDesign page layouts as your own InDesign cookbook template for future use and add your own spin. Master your gradient skills in this pastel-neon gradient inspired tutorial suitable for beginners. Learn how to create gradient swatches and apply it to this versatile layout that can be easily printed or distributed online. Let the typographic elements and colors shine in this flyer and create your own version to use as an InDesign flyer template. Learn how to make a brochure in InDesign and create your own template from it. Easy to edit, clean, and engaging, this brochure will communicate a message clearly. Creating a brochure in InDesign shouldn’t be a difficult task, and this InDesign template tutorial is super easy to follow! Create this versatile and stylish travel brochure template, a perfect promotional tool for travel agents. Turn it into a travel guide or a vacation catalogue template to show your clients the best you’ve got to offer. Adapt this template to your own colors, images and fonts to add your own spin! Promote your next night-club event with this quick and easy club flyer tutorial. Mix InDesign and Photoshop and create a stylish InDesign flyer that can be easily turned into a template. Master some basic tools and learn how to work with images in two software packages. Ready to get the party started? Learn how to create this iconic music magazine cover in Adobe InDesign. The script-style logo and the stand-out palette have become synonymous with the magazine. Pay tribute to this classic magazine by converting this tutorial into an Adobe InDesign template. It never goes out of style, so you’ll keep coming back to it! Inspired by mid-century style, create this cheerful Easter weekend flyer design. Turn it into an Adobe InDesign template and adapt it by using different fonts and colors. Master key tools from Adobe InDesign and Adobe Illustrator and create this spring-themed Adobe InDesign flyer template. Ready to Get Started on Your Own Templates? I hope this list of Adobe InDesign templates tutorials inspires you to start your own! Templates are great time-savers for you and your clients. Setting them up properly and with a versatile design can really go a long way. If you are new to InDesign and need catalogue templates or report templates right away, head over to Envato Elements and GraphicRiver. We’ve got many options to explore!